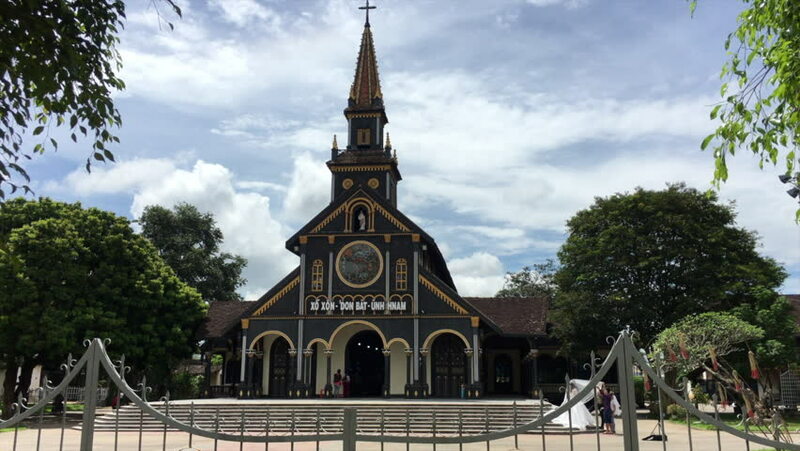 KON TUM, VIETNAM - SEPTEMBER 22, 2018: Cathedral of Kon Tum, a Roman Catholic wooden church. The city is located in the Central Highlands region near the borders with Laos and Cambodia. 4k00:11Ascend in front of the church, Berlin, aerial, summer.